A contemporary pair of knotted mesh tassel drop earrings. Earring size 6.6cm drop x 0.9cm wide with butterfly fastening. 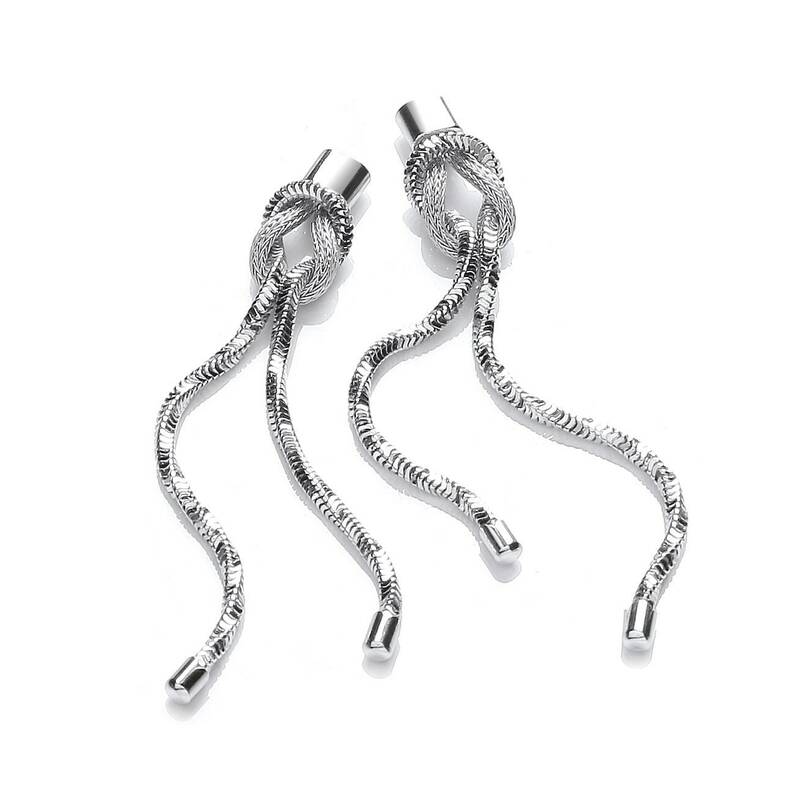 Crafted from rhodium plated 925 sterling silver.